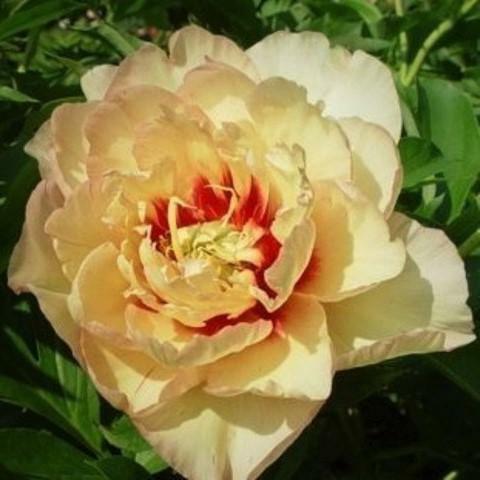 Semi-double; large, yellow cream petals with picotee edge and prominent dark red flares emanating from the center. Side buds extend bloom. Light fragrance. 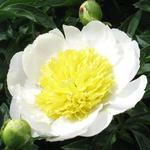 Excellent plant habit, vigorous and reliable bloomer. 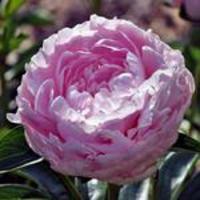 Handsome, deeply cut foliage that is reminiscent of tree peony ancestor. Leaves remain healthy throughout the growing season well into autumn. 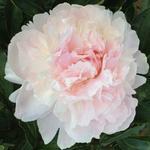 A very attractive peony and a fine addition to a flower border. 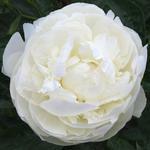 Intersectional hybrid [Itoh hybrid]. Parentage: ['Martha W.' seedling]�x Lutea Hybrid. Presumed infertile; no seed or pollen observed.